help to raise the profile of the actuarial profession in the area. GAS will provide members with the opportunity to meet other talented and dynamic minds in the profession and to fulfil their CPD requirements in the process. Download the Gulf Actuarial Society Article of Association to find out more. If you would like to find out more about GAS or would like to join the society please contact the Committee at The Gulf Actuarial Society. Priyank is a Fellow of the Institute and Faculty of Actuaries, UK. 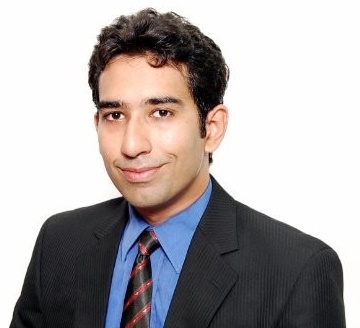 He works as a Senior Consulting Actuary with Milliman, based out of Dubai and specialises in General Insurance. Priyank has significant experience on a wide range of property and casualty projects in Europe, Asia and United States. Mohsin is a Fellow of the US Society of Actuaries and works as the Head of Pricing of Life Reinsurance business - MENA region for Munich Re in Dubai. He has been working in the region for more than 10 years in both life and non-life insurance and has experience in both pricing and reserving. Raghav is a Fellow of the Institute of Actuaries, UK. He is a Consulting Actuary at Lux Actuaries and Consultants based in Dubai, UAE. Based in the region since 2012, he has worked across Non-Life and Health pricing, statutory reserving, analytics and product development for a number of regional and international (re)insurers. Abdul Moid is an Associate of the US Society of Actuaries (since 2011), working as a Senior Manager at SHMA Consulting based in Dubai and has expertise in both life and general insurance. He has more than nine years of insurance and actuarial consulting experience in supervising and managing large projects for multiple insurers & reinsurers in the Middle East and Asian region. He has a responsibility for managing a large consulting team and also currently serving as appointed actuary for several insurance companies.